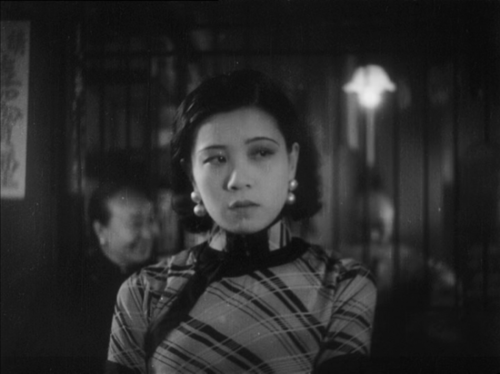 Exquisite meditation on the tragic life of one of the most well-known of China’s silent film stars, Ruan Lingyu, who committed suicide in 1935 at the age of 25, apparently in despair at the sensationalizing of her personal life by the Shanghai press (she was publicly accused of adultery)– an act that mirrored that of the real-life heroine of her last film New Woman. Kwan’s film recreates Shanghai lifestyles of the 1930s interwoven with documentary clips of Ruan’s films and reflexive scenes of the making of Kwan’s production. 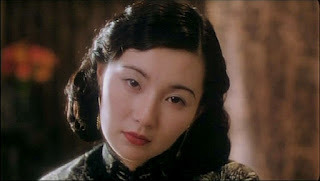 Ruan’s life and death are as well-known by Chinese audiences as that of Marilyn Monroe to American audiences, and thus the film is best appreciated if preceded by some research. Maggie Cheung won several Best Actress awards for her portrayal of Ruan . The usual potluck supper will precede the film showing. Please call Pat Webber at 770-396-5690 by Wednesday, August 8, to let her know what you’ll be bringing. Directions to the Webber Uniplex (also known as the Webber family residence) can be found here.